Gray matter atrophy is commonly seen in people living with HIV, even in the era of combination antiretroviral therapy (ART), but the specific regions that are affected have been difficult to detect. But now, investigators have developed a map of brain tissue showing where shrinkage and loss of function occurs prior to the onset of clinical symptoms. The investigators, led by Xiong Jiang, PhD, director of the Cognitive Neuroimaging Laboratory at Georgetown University Medical Center, developed a neural model to demonstrate the neurocognitive decline that results from HIV. The findings of the research were published in the journal of Human Brain Mapping. According to a press release issued by Georgetown, the study team was inspired by work in Alzheimer’s disease and set out to develop a model relating neurocognitive impairment to particular neural underpinnings. As part of the research, the investigators used a novel meta-analysis technique called the colocalization-likelihood estimation technique, developed by Peter E. Turkeltaub, MD, PhD, an associate professor of neurology at Georgetown, and a co-author of the study. 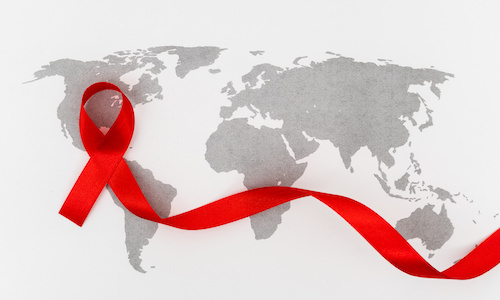 The analysis was completed based on 25 studies, which involved a total of 1370 adults with HIV and 889 adults who did not have HIV as controls. The novel technique revealed that gray matter atrophy in the adults with HIV was dominated by 2 distinct profiles: frontal, including ACC atrophy, which was associated with HIV disease and consistently differentiated adults with HIV from the controls and caudate/striatum atrophy, which was associated with neurocognitive impairment. According to Jiang, his lab had previously identified that ACC might be a region affected early during HIV-associated neurological decline, but he did not expect it to be the most affected. “My lab has previously identified ACC might be a region affect early during HAND development. This makes sense as the ACC receives one of the richest dopaminergic innervations in the cortex, and it is well known the dopaminergic system is impaired in HIV. However, we did not expect to find the ACC stands out as the most affected region in the meta-analysis of brain atrophy,” Jiang said. According to the study team, the results suggest that early on in HIV disease the virus affects the frontal lobe, which is considered to be the essential hub of brain networks and is responsible for executive and cognitive functioning. On the other hand, the injury to the caudate/striatum area, a subcortical region and part of the motor and reward system, becomes more prominent when HIV-associated neurocognitive disorders are developed. The neurocognitive impairment role of caudate/striatum atrophy is further supported by a separate analysis, which examined the findings of correlation analyses between gray matter and neurocognitive performance. These findings lead the investigators to conclude that the frontal lobe and the striatum play critical but differential roles in HIV-associated neurocognitive disorders.